In this Intel Cloud Builders video podcast: Oracle discuss the challenges facing an organization in the deployment and securing of a cloud infrastructure and provides guidance on building a cloud using Oracle and Intel technology. 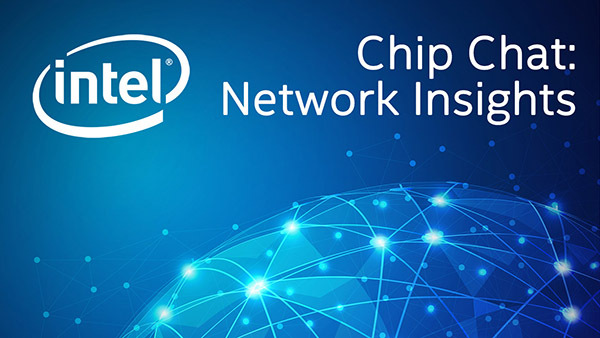 In this Intel Cloud Builders video podcast: Utilize the NetApp & Intel Unified Networking Reference architecture to meet the challenges of implementing gigabit Ethernet solutions for cloud storage architectures. In this Intel Cloud Builders video podcast: Utilize the Cisco & Intel reference architecture to build a virtualized multi-tenant data center to meet the challenges of how to designing, deployment of and management of cloud infrastructures. In this Intel Conversations in the Cloud audio podcast with Allyson Klein: Pete Downing Principal Product Manager at Citrix Systems discusses enabling the federated cloud, their reference architecture, and Citrix Open Cloud & Cloud Bridge. In this Intel Conversations in the Cloud audio podcast with Allyson Klein: Interview with Brian Gracely from Cisco. In this Intel Conversations in the Cloud audio podcast with Allyson Klein: Interview with Reuven Cohen, CTO & Co-Founder of Enomaly Inc. In this Intel Conversations in the Cloud audio podcast with Allyson Klein: Dell’s cloud computing evangelist Barton George discusses the company’s scalable cloud solutions and how many enterprises approach the cloud from an evolutionary perspective. In the 1st episode of Conversations in the Cloud, Allyson Klein talks with Intel Director of Cloud Computing Marketing Raejeanne Skillern about the benefits of Intel Cloud Builders.